Ever since Apple entered the mobile phone market, the rivalry among the touch screen phones has begun to look quite like the Afro Samurai story. For all of you out there who aren´t familiar with it, here it is in a nutshell. The protagonist is a samurai guy who struggles for a No.1 headband that grants its holder a godly status and is apparently something everyone yearns after. In our touch screen phone case, Apple got the headband with the iPhone and all other manufacturers have been trying to release their “killer” phones.. There are certain models putting up one hell of a fight thanks to enhanced cameras and better DivX/Xvid playback. The Apple´s gadget still comes on top due to its comfy interface, cheery and responsive software implementation. And if the OS itself stands for our samurai´s soul, phone´s display is his katana. iPhone hadn´t had a worthy opponent to vie with in video playback quality until the Samsung OMNIA HD came out. Well, there´s another major contender about to get the floor and bring down the house, one who also craves for the No.1 headband, namely, the LG ARENA. Well, after getting it into our hands and playing around with it for a while, we can definitely say it´s got all it takes to go over big with the consumers. LG can hardly work miracles, but the ace up their sleeve is called S-CLASS 3D, their new interface. 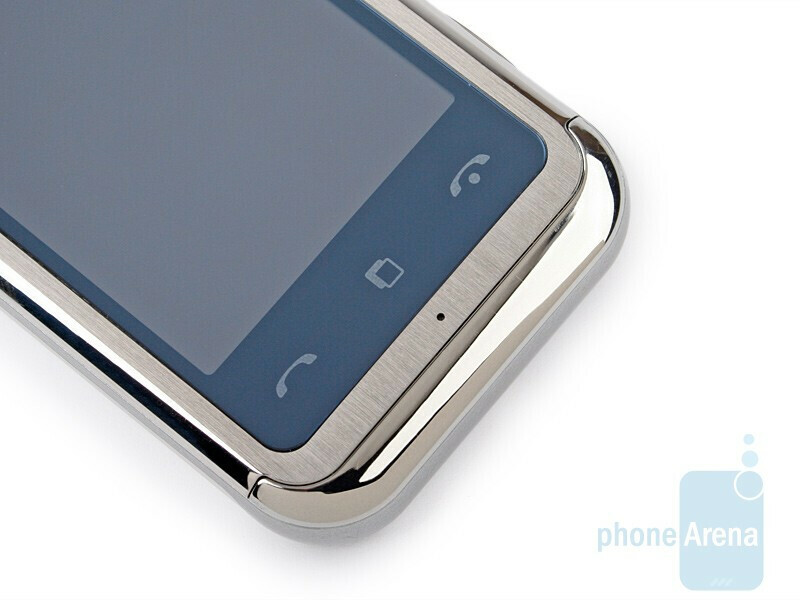 It´s a major step forward, given the previous phones of the company. But, that´s enough with the samurai´s soul, let´s take a closer look at its appearance, beginning with its “katana”. 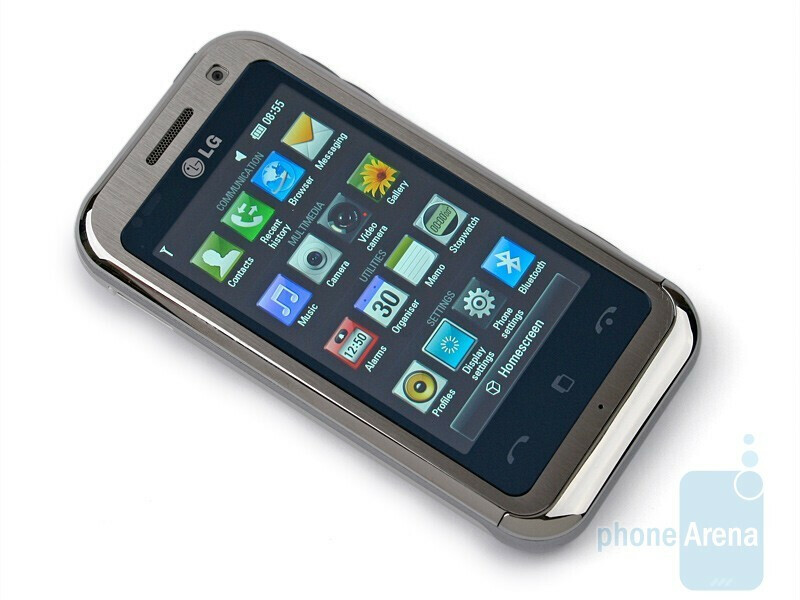 It´s a 3.0-inch, touch sensitive, capacitive screen that features 16 mln colors. Thanks to its high resolution (480x800) it offers quite sharp image quality. Of course, we´d love it if the screen was 2 or 3 or, say, 37 inches wider. Oops, sorry, we´re talking about the new office monitors. 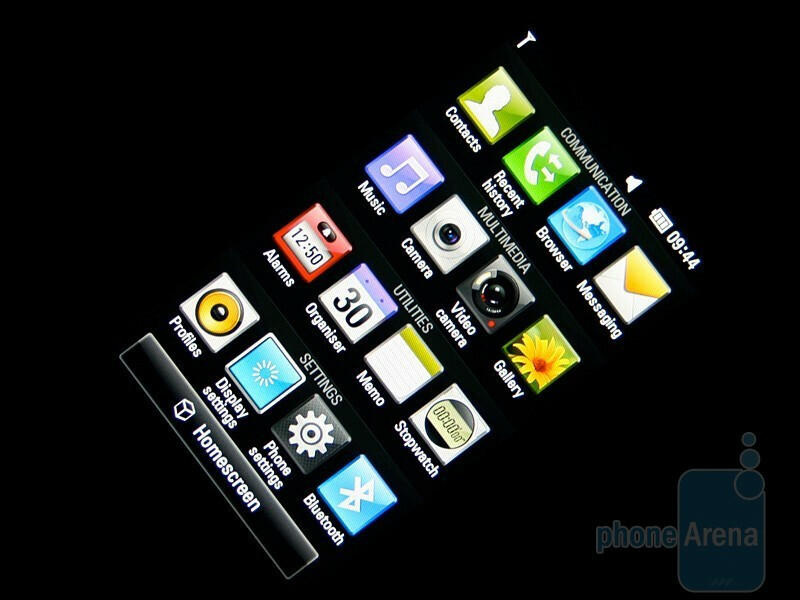 Well, OK, we are pretty aware that greed constitutes a major sin, but we do like the OMNIA HD´s 3.7-inch screen better. Well, rewording that ancient Greeks´saying, “a small body/small screen”. There´s a lot to this that meets the eye, you can trust us. 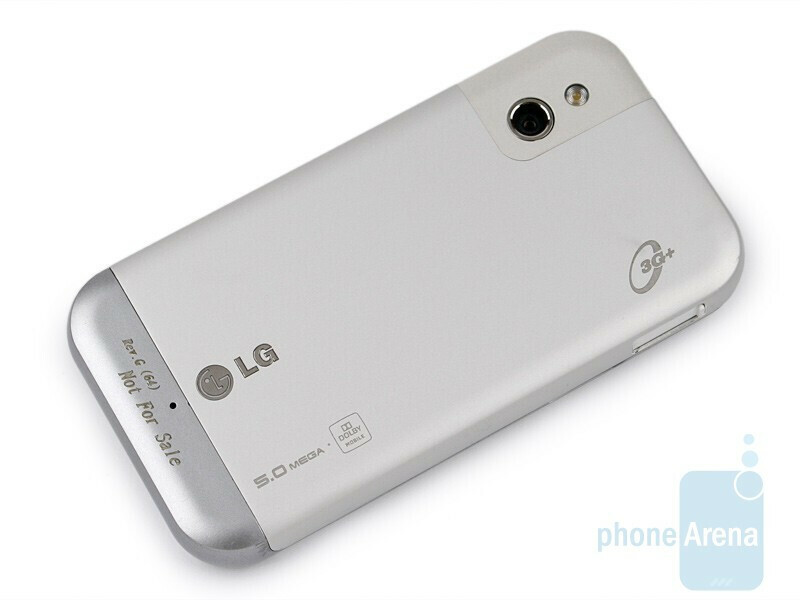 The LG ARENA is a compact and relatively light-weighted device, but it´s its weight that gets in the way of the phone´s intended luxurious image. 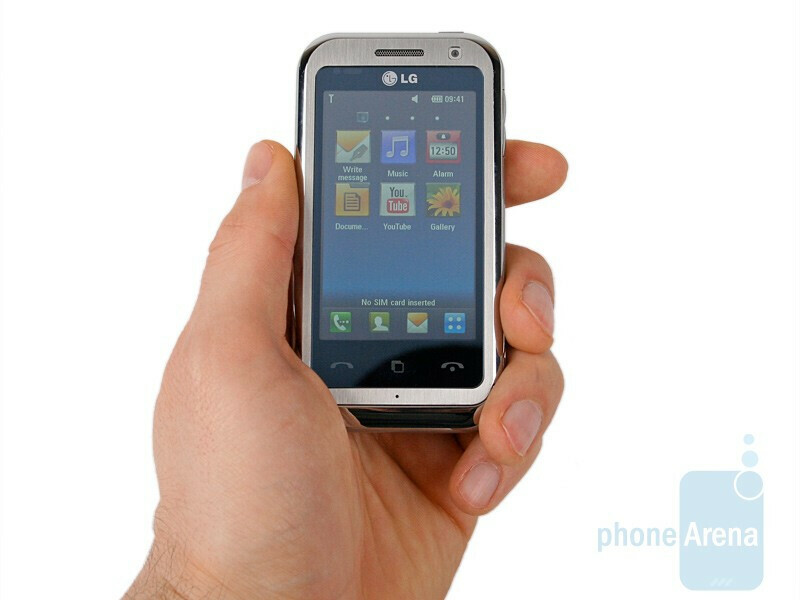 You can compare the LG ARENA with many other phones using our Size Visualization Tool. 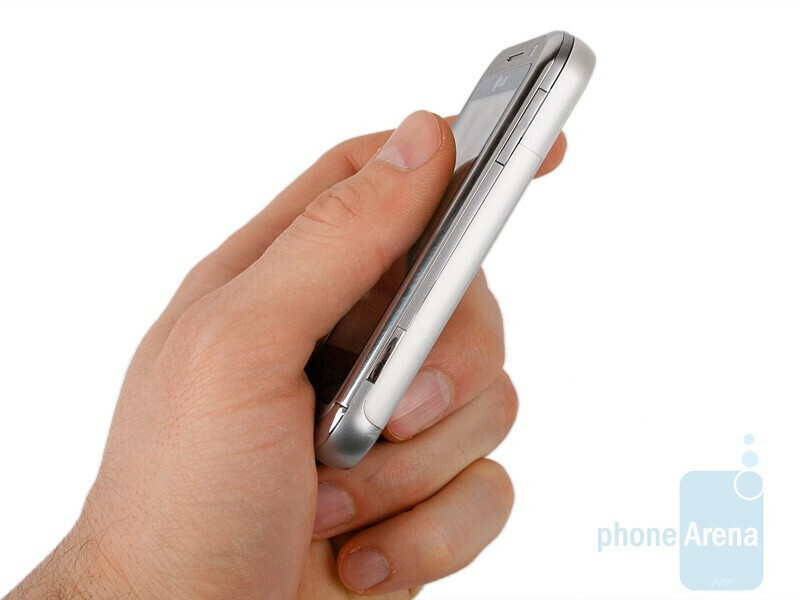 There´re three touch sensitive keys just below the screen – send/end buttons and a third one, right in the middle, that turns the start-up screens into a cube. You can find more on this feature under the interface section of the preview. Actually, only the green send button turns on, but the retail units will have all the three brightly lit up. We are really pleased with all other buttons that perfectly go with the overall design and the whole round-form low-profile look about it. We still cannot comment on its ease of use, since we have only used a prototype this far. 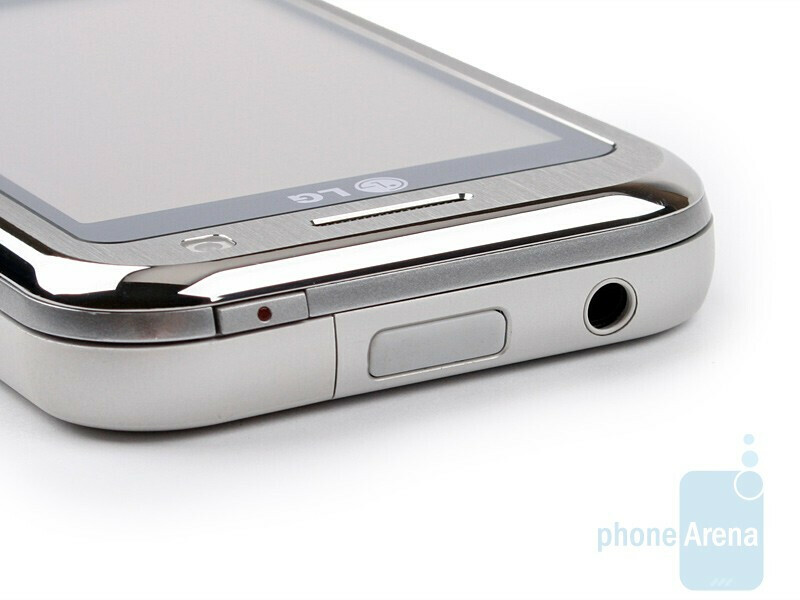 The camera shutter and volume rocker are both located on its right hand side, the power on/off button, 3.5 mm jack and cover unlock mechanism are on the top. 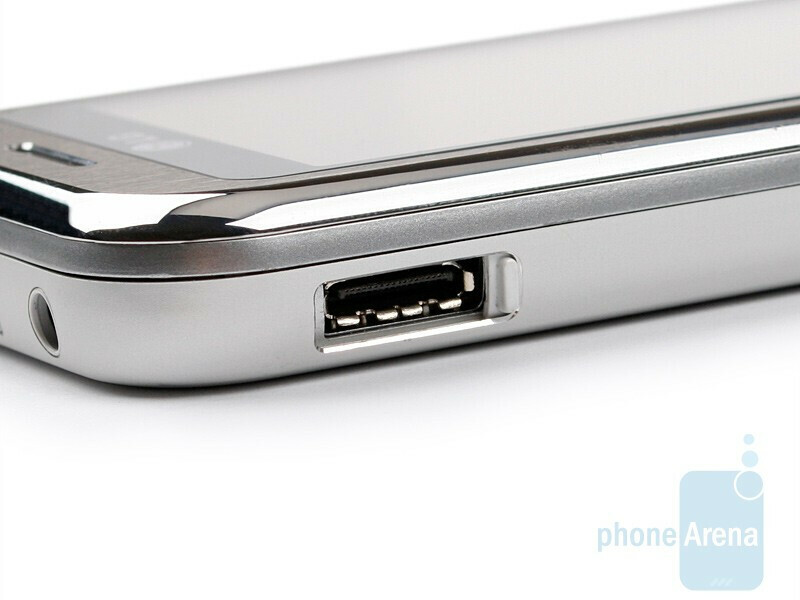 The microSD expansion card slot is hidden underneath the battery cover. The charger plugs in under a snugly fitting, tiny, sliding flap on the left that is really handy. All told, the ARENA is quite likeable, but it lacks the “WOW” factor. In other words, don´t expect that too many people will have their eyes fixed on it. Now, let´s get down to the thrilling part of the preview, namely the new interface.